Cattaraugus County, New York was established in 1808 and the county seat is Little Valley. It is named for natural gas that leaked from seams in rock formations. Cattaraugus is a Seneca Indian word meaning "bad smelling banks." Olean, New York was the first settlement in Cattaraugus County and it is the largest city. Cattaraugus County is part of Appalachia and Western New York. 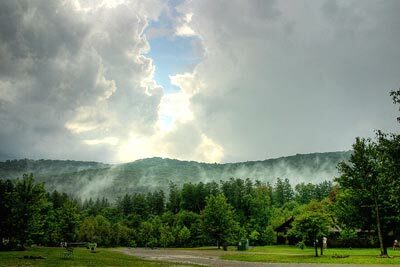 Mount Seneca and Mount Tuscarora are located in Allegany State Park. St. Bonaventure University, Jamestown Community College, and Olean Business Institute are located in Cattaraugus County. Cattaraugus County cities and towns include Abbotts, Allegany, Ashford, Axeville, Bakerstand, Baldwin, Barnum, Bedford, Bird, Boardmanville, Bowen, Bradford, Brooklyn, Cadiz, Carroll, Chipmunk, Cold Spring, Conewango, Cottage, Crestview, Dayton, Delevan, Devereaux, Eddyville, Elkdale, Ellicottville, Elton, Farmersville, Fitch, Five Points, Four Mile, Fox, Franklinville, Freedom, Gowanda, Great Valley, Harrisburg, Haskell Flats, Haydenville, Hinsdale, Homer Hill, Humphrey, Irvine Mills, Ischua, Kill Buck, Knapp Creek, Laidlaw, Lake View, Leon, Lime Lake, Limestone, Little Rock City, Little Valley, Lyndon, Machias, Maplehurst, Maples, Markhams, McKinstry, Mill Grove, Napoli, New Albion, Nichols Run, Olean, Onoville, Orlando, Otto, Perrysburg, Persia, Peth,Plato, Pope, Portville, Randolph, Rays Corners, Red House, Riceville, Saint Bonaventure, Salamanca, Sandusky, Seneca Heights, Steamburg, Sugartown, The Narrows, Vandalia, Versailles, Vollentine, Wesley, Whiteford, Willoughby and Yorkshire.